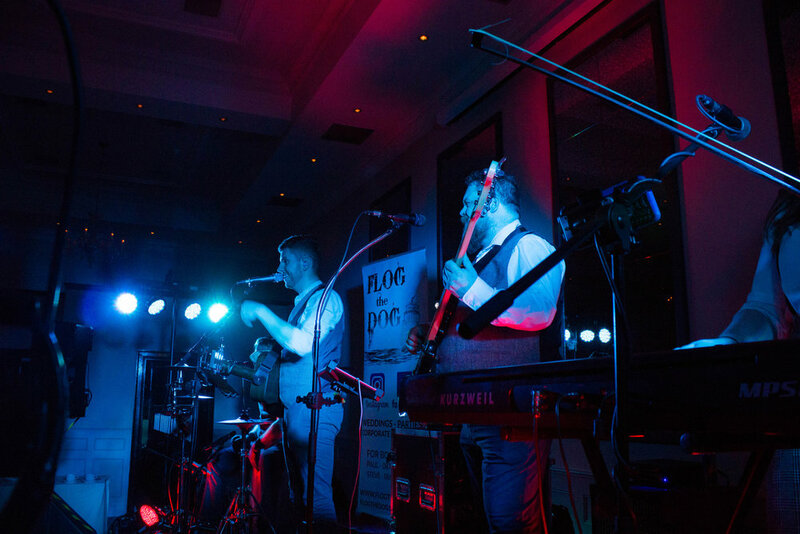 Wedding Band, Flog The Dog to play the Castle Hotel, Macroom, Cork, for their upcoming Christmas Parties. 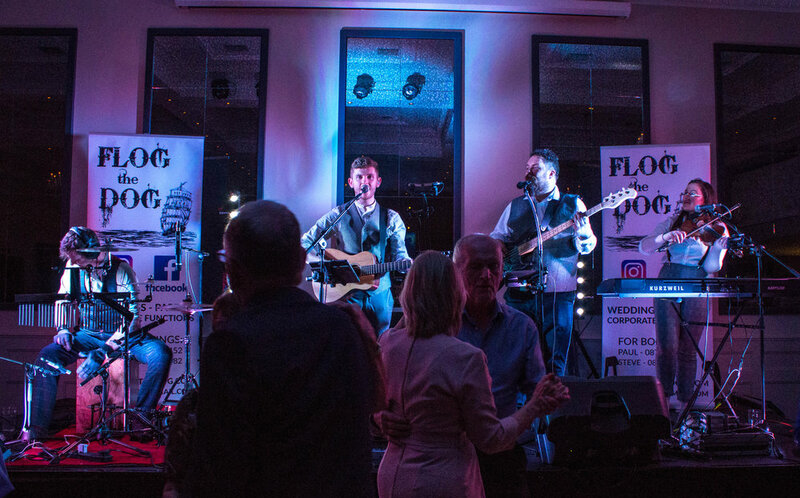 Flog The Dog are set to entertain the cork crowds as they prepare for the upcoming Christmas Party nights at the Castle Hotel in Macroom, Cork on the 14th and 15th of December. The band have been looking forward and preparing for these Christmas Party nights since the they were booked in to play back in January. 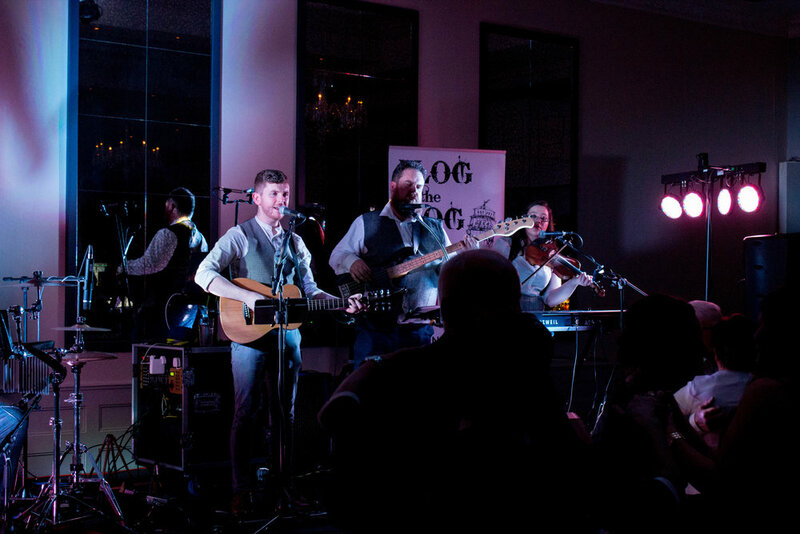 Party goers can look forward to a lively night of music with some Irish Folk, Trad, Jives and, of course, a few Christmas songs; a must at any Christmas Party. 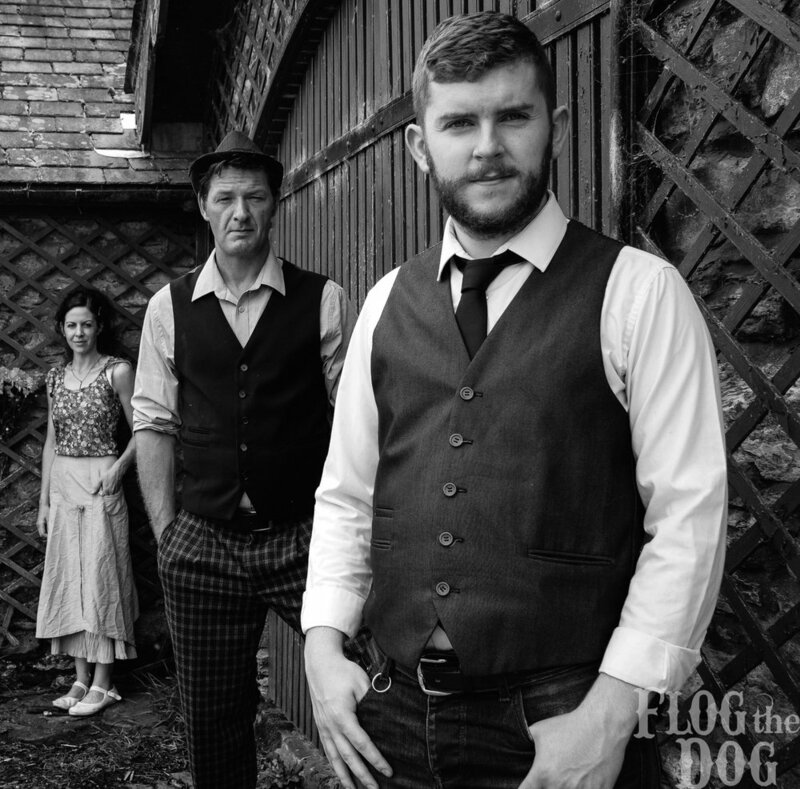 Flog The Dog, a popular and award winning wedding band based in Kerry, play at lives venues and weddings all over Munster and nationwide. Why not send us an enquiry about your wedding day. Just click on the button. Tickets for Christmas Parties are Sold Out! 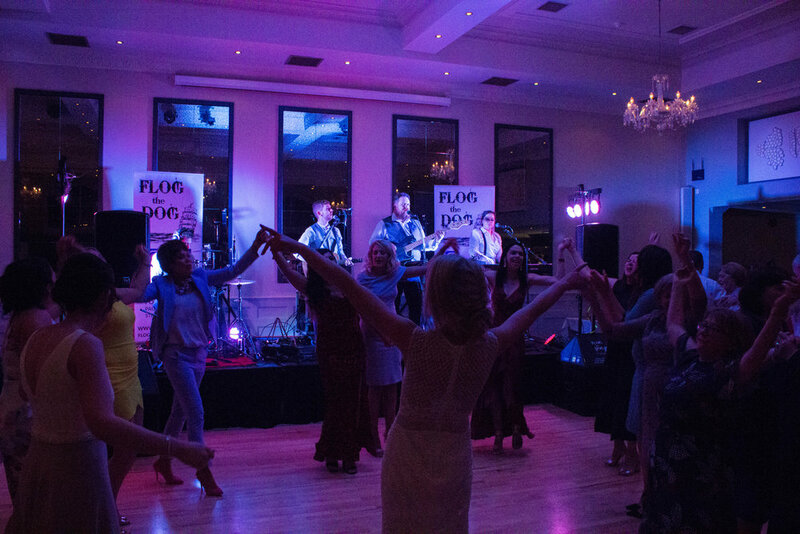 Flog The Dog are delighted to announce they have been selected as 'Wedding Band of the Year' finalist for the Weddings Online Awards 2018. Judging will now commence to select a winner from 12 wedding bands as well as numerous other wedding supplier categories. We look forward to the ceremony and hope to bring home the winning title as reward for the wedding music and entertainment we have provided over the last few years. Wedding Bookings for 2018 | 2019 | 2020. BOOK NOW! Flog The Dog - Nominated for 'Band Of The Year'. Click to Vote! Flog The Dog received some fantastic news this week. The band have been nominated as ‘Band of The Year’ for the Weddings Online Awards 2018. Flog The Dog are seeking your vote. Only votes from verified email addresses will be counted. When you submit your vote you will sent an email with a link to confirm the vote. Please check your spam folder if you don’t see this email. Voting will close on the 23rd October 2017. Flog The Dog will play at Bute Fest on the Isle of Bute which takes place on the Isle of Bute, Scotland between 28th and 3oth of July. Click below to buy tickets. 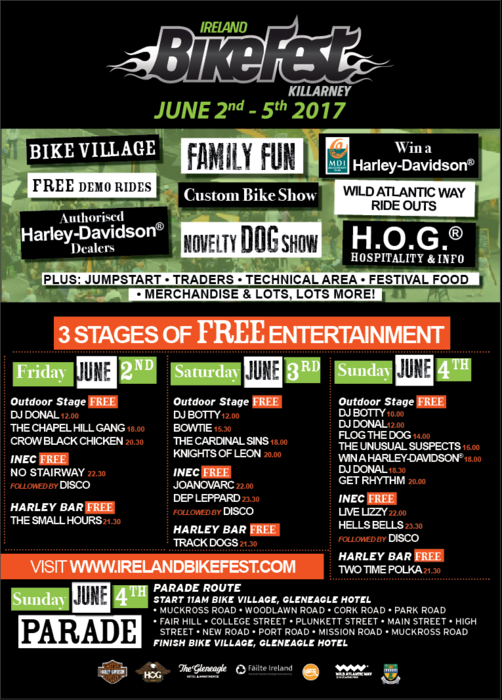 Flog The Dog will be playing at the Bikefest, Killarney on the Outdoor Stage at 2pm on Sunday 4th of June. All entertainment is free so don't miss out!